If there were two statements that stood out in the Elk Grove City Council's discussion on Wednesday, July 26 regarding the Paris Agreement it was this - dinosaurs did not drive cars, and certain aspects of climate change research, at least in the opinion of one Council Member, is voodoo science. During what could have been an opportunity for Steve Ly to assert his role not only as the mayor but to address what many, including the Department of Defense, have characterized as the biggest global security threat - climate change. Instead of seizing the opportunity to say Elk Grove was at the forefront of the movement, as so often has been the case, Ly was outwitted by city council colleague Pat Hume. The discussion centered on Ly's belated desire to sign on as a so-called Climate Mayor - a group of American mayors committed to supporting the Paris Agreement despite President Trump's withdrawal of the United States from the climate accord. Even though many local political observers, as well as his fellow council members opined he could have signed on his own, perhaps after repeated brow beatings on the dais by his fellow council member, and a lack of policy knowledge, Ly sought the approval of his council colleagues. After hearing a staff presentation, once the 10-minute council deliberation began, from the start it was dominated by Hume. During that time, Ly spoke for less than 30 seconds, while Hume spoke for close to four minutes, followed by city attorney Jonathan Hobbs who took about two minutes to explain why he was of the legal opinion the matter needed to be placed on the agenda. While Hume said it was acceptable for Ly to sign on as a Climate Mayor without council approval, he nonetheless took the opportunity to make digs at climate change science. Not surprisingly, in this context, Hume said he was opposed to pollution and supported conservation, but little else. While those comments give the veneer of promoting the environment and by extension climate change action, Ly failed to call out Hume's opinions. Ly could have pointed out to Hume that saying he was against pollution is like saying he is against child abuse - who supports pollution or child abuse? 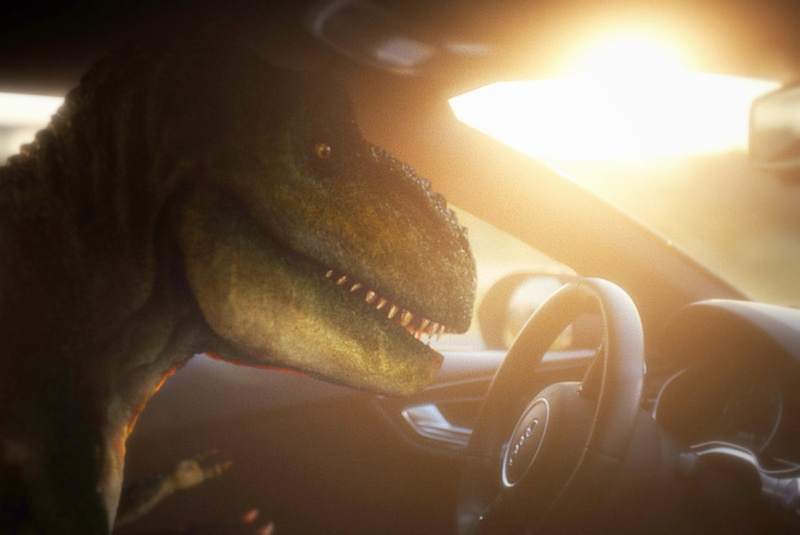 Hume curiously went on to say that dinosaurs did not drive cars, and yet they became extinct. The suggestion being that they were wiped of the face of the earth without carbon emissions, so not to worry. Aside from the absurdity of that comment, Hume, no intellectual light weight, must understand dinosaurs were driven to extinction most likely from a climate altering meteor strike. The climate change being experienced now is primarily a man made situation, mostly from the wide spread use of fossil fuels. And as if to up the ante, Hume went on to characterize some of the climate change research as voodoo science. Perhaps the council member has been spending too much time listening to Alex Jones or reading Breitbart. Regardless, Ly's inability, or perhaps unwillingness, to challenge Hume's claims turned what could have been an exceptional opportunity for him to one that allowed his colleague to act as the de facto mayor speaking on behalf of the City. By failing to respond, Ly effectively gave the mantle to Hume, who aggressively made it appear the Elk Grove City Council thinks this climate change stuff is, in his words, "voodoo science." While it is not surprising Hume's fellow Republican council member Steve Detrick supported the underlying premise, Ly's fellow Democratic council member Darren Suen sandbagged him. Suen, trained as a civil engineer who worked as a project manager for a homebuilder prior to the Great Recession, now works on climate control and water issues for the State of the California bought into Hume hollow and simplistic argument quipping "pollution is bad." Of course, this whole discussion is premised on the idea that Ly understands or is concerned about the implications of climate change. Given his apparent unwillingness to challenge Hume, and his legacy of not articulating what, if anything aside from his own parochial needs he stands for, Ly could very well be in the same camp as Hume. The only thing left for Ly to do is trade seats on the dais with Hume for he is the one running the show. "All climate change funding is terminated until NASA says their planet flattening crisis of climate change is as real as they say the planet isn't flat. And those responsible for decades of exaggerating vague science and feeding needless panic will be brought to court, including news editors." Region Builders doesn't care what party you are, but you better not deviate from the game plan. Voodoo science, icebergs are cracking, it don't matter, stick to the script or you are out. As an extension to this statement Ly could very well be in the same camp as Hume.... I would add the following. Mr. Ly as well as every council member in our city's history save for Mr. Trigg and so far Ms. Nguyen, have been puppets on the end of strings being pulled by developers who have dictated how our community develops. While Mr. Hume says there is very little the city can do to affect climate change, he is obscuring what could be done, particularly as it relates to development decisions. Therein lies the motivation - anything that cuts into the profits of the puppet masters in anathema to everything they represent. While Mr. Hume was cleverly obscuring this with his comments, one must suspect Mr. Ly probably does not get the connection. Now that Mr. Ly will presumably sign the document, he will own it going forward. Dan, while your point is well taken that Ly did not step up and speak truth to Hume’s power by giving facts instead of his opinions, it should have been a perfect time for Darren Suen to step up because he does have the facts, and moreover, the expertise. Instead, Suen fell in line with Hume, quasi-joking about climate change. I wonder if Elk Grove residents and others in the County that were affected by the flooding last winter would be laughing as well. In my opinion, Suen showed a complete lack of leadership as well as someone who aspires to higher office. If he were to take a run at Mayor of Elk Grove in 2018, as is expected, Suen showed me it would be more of the same; he would continue to kowtow to Hume, be a jokester, wingman, and another sidekick along with Detrick. Is this what we want on the Elk Grove City Council and of the people representing us? As for Hume and his comments that the Elk Grove City Council shouldn’t get involved in World issues, he is dead wrong. Who is the dinosaur here with that thinking? Voters need to know where our local officials stand on County, State, National and World issues as many of them seek higher office. If the voters know where they stand while at the local level, it is a clear indicator of the future and whether, or not, we want them representing us and voting on issues which do matter such as climate change and healthcare. It appears Hume only cares about local developers’ issues – by his continued forceful support of their projects, their car washes, their zoning changes and the General Plan be damned, lower developer fees, smaller parks, more and more Mello Roos fees to unsuspecting home buyers in Laguna Ridge and the SEPA, and most of all, their large contributions to his campaign account and to hell with the rest of the World. Is that someone who should be reelected in 2018?